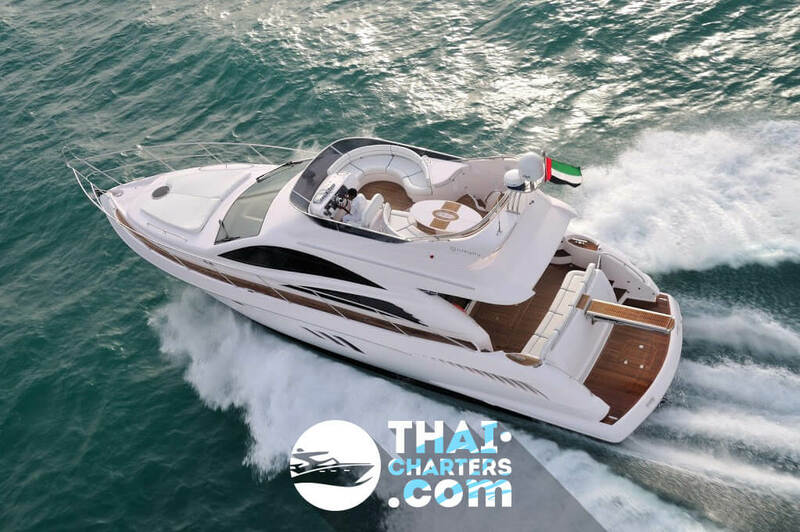 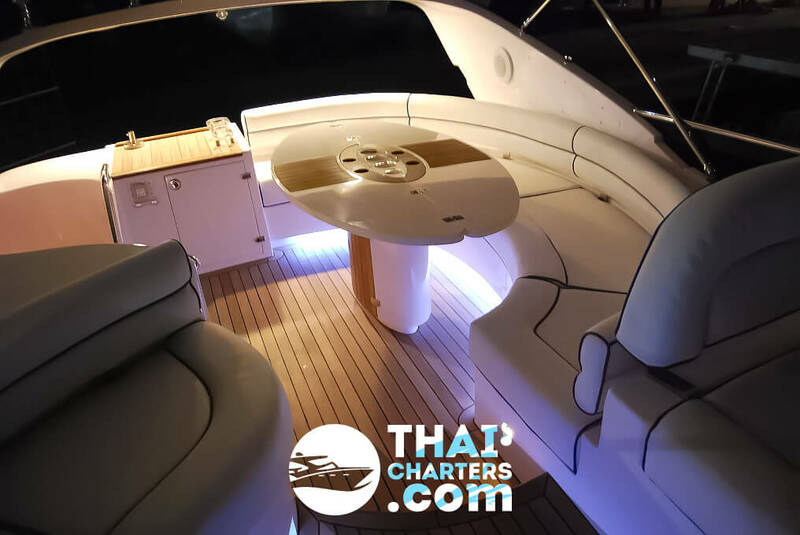 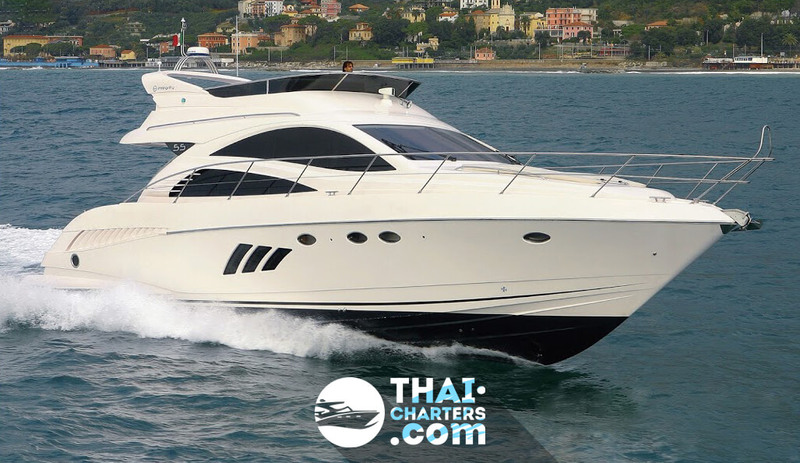 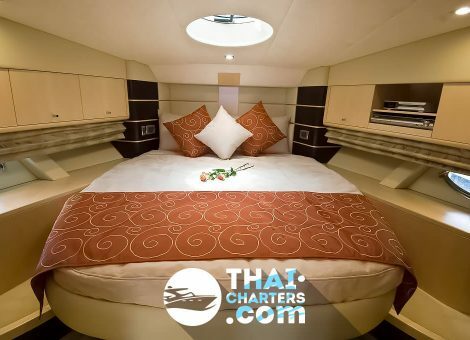 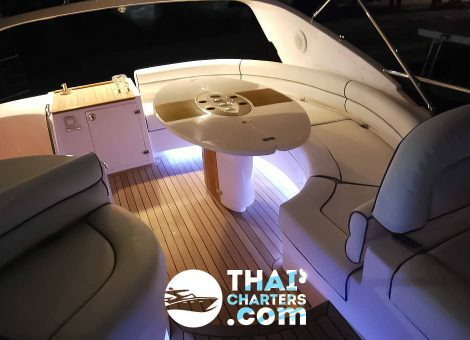 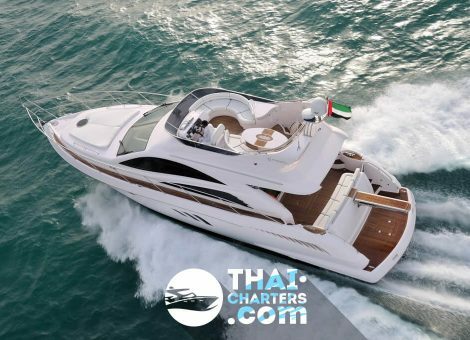 A rent of “Integrity 55 Flybridge” yacht in Phuket is best for a clique up to 16 people for cruising along the islands or a long-term voyage. 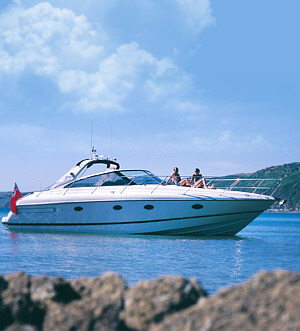 It is the high-class yacht, which is one of the most interesting in “Integrity” model range. 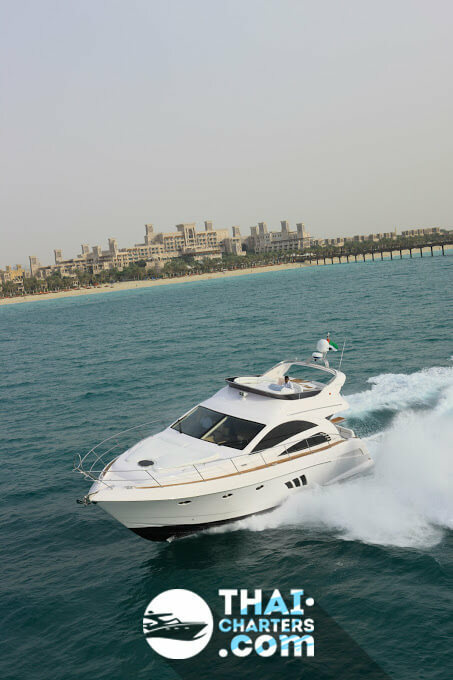 These amazing motor yachts are developed for the “Riviera Boat” model range. 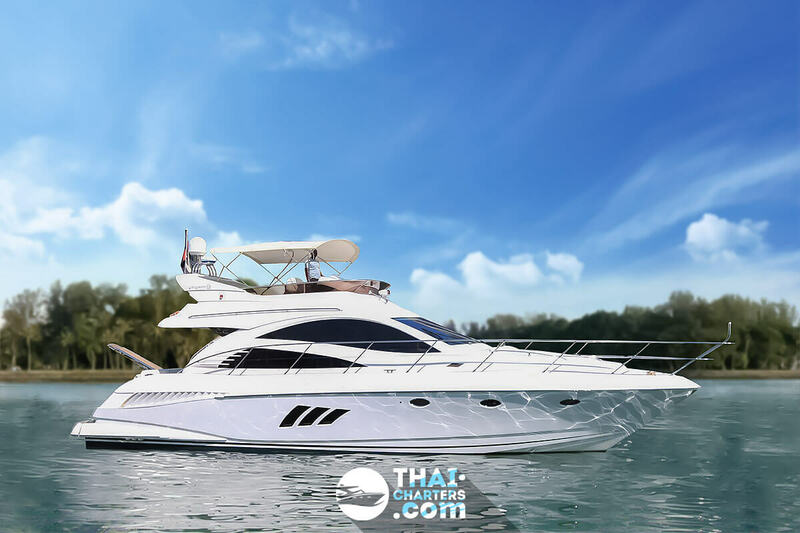 High build quality, design and comfort are ideal for the tropical region of Phuket. 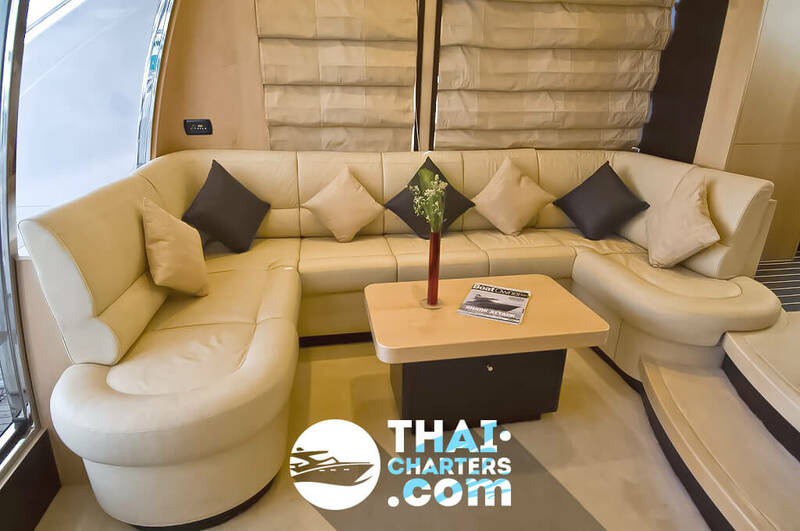 The stylish interior of the saloon with a spacious lounge area and a fully equipped kitchen made up in light colors is perfect for any of your events. 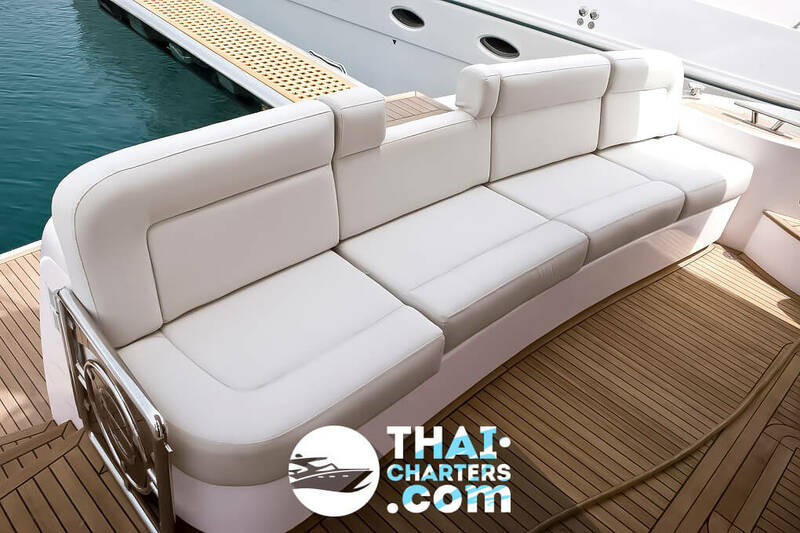 On the upper deck there is a cozy bar and a lounge area for 8-10 guests, from which a beautiful view of the sea opens. 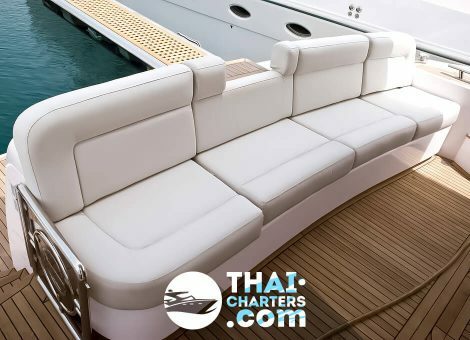 There are mats for sunbathing installed on the bow area. 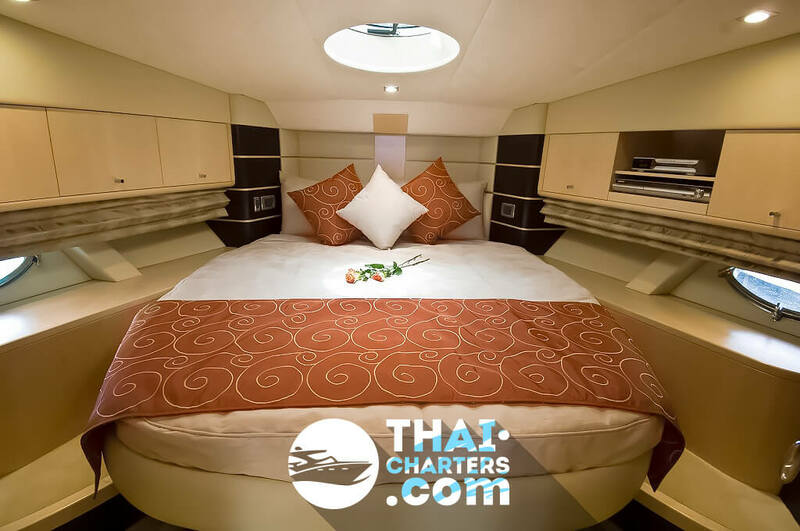 Panoramic windows and a futuristic style of hull will also fascinate guests. 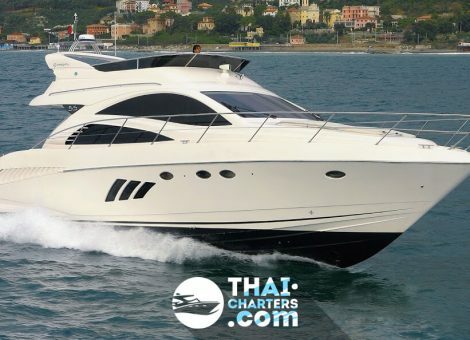 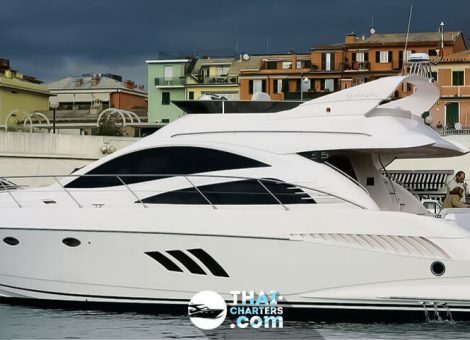 A rent of this yacht has a decent price and it’s suitable for connoisseurs of convenience, because a 17 meters-long yacht is exactly what a small clique needs for a good rest, both on the yacht itself in a quiet bay with beautiful scenery, and for having a rest on the islands.